According to Saakashvili, the attack on the South Ossetian capital, which involved night shelling of residential areas with multiple rocket launcher systems, was aimed at protecting Georgian citizens. He said it was a response to Russia’s “intervention” in the region. “We did start military action to take control of Tskhinvali and other unruly areas. But we took this difficult decision to fend off our territory from intervention and save the people who were dying. It was inevitable,” Saakavili said. 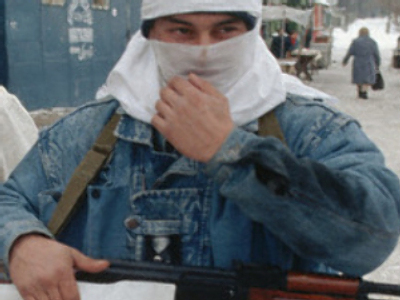 The Georgian President claims Russia moved tanks into South Ossetian territory before Georgia launched its attack. Mikhail Saakashvili said the deterioration of relations between Tbilisi and Moscow had nothing to do with his personal relations with Vladimir Putin. 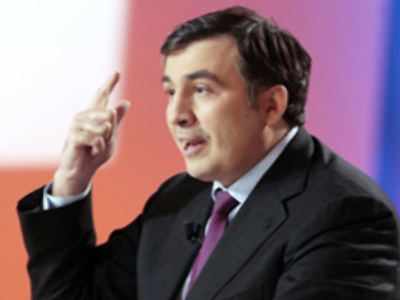 There was some speculation in the media that Putin bore a personal grudge against Saakashvili after he allegedly insulted Putin when he was president several years earlier. “All the gossip that the differences between our countries are based on personal hostility is an invented thing,” he said. Mikhail Saakashvili dismissed as nonsense the allegations voiced earlier this week by the former Georgian ambassador to Moscow, Erosi Kitsmarishvili. The diplomat said Tbilisi had been preparing the military campaign against South Ossetia for several years and put the blame for the bloodshed on Mikhail Saakashvili. “Kitsmarishvili’s allegations are groundless; his status was not high enough to attend the Security Council meetings where the country’s foreign policy was decided. He could not know our plans, and those certainly have nothing to do with his version,” the Georgian leader said on Friday. Meanwhile, Kitsmarishvili told RT that Saakashvili may have started the the August war in South Ossetia because he wanted to be remembered as the leader who began a new chapter in Georgia’s history. The opposition Labour Party in Georgia has called on the EU to freeze the bank accounts of Mikhail Saakashvili and several other top officials. According to party secretary, Georgi Gugava, such a move would stop them from fleeing the country. “The Saakashvili administration have packed their suitcases and hope to flee and live a quiet and prosperous life abroad on what they’ve stolen and looted,” he said. The proposed sanctions would be similar to those imposed against more then 100 Zimbabwe officials, who had their bank accounts frozen by the EU in June.